← The Event that changed the world and changes me Today! As the good father, I have always tried to be to my own kids; I was determined to adopt her boys as my own. So coming into this picture was a complicated thing. Since it was important to me, to try to meet each of their individual needs. On this note, One of my first “Goals” was to get the two youngest boys a goal; a basketball goal that is. It seemed like a great family project, for us all to enjoy. A great idea, right? It didn’t work out that way. The boys rarely waited for my wife and I to move our cars. They played ball with them in the drive-way, even after being threatened with bodily harm. So the balls were always hitting our cars. They refused to change. Furthermore, They refused to pick up the balls and left them laying everywhere. Since they would not change; one day I did. I had enough of this irresponsibility and solved this problem. I threw the goal in the woods and got rid of all the balls. Balls always seemed to bounce back into our picture but the basketball goal never did. And there it sat for 7 years, in our woods. 7 long years. 7 years that caused it to deteriorate, crack and come apart. It literally became useless and existed only as an eyesore. 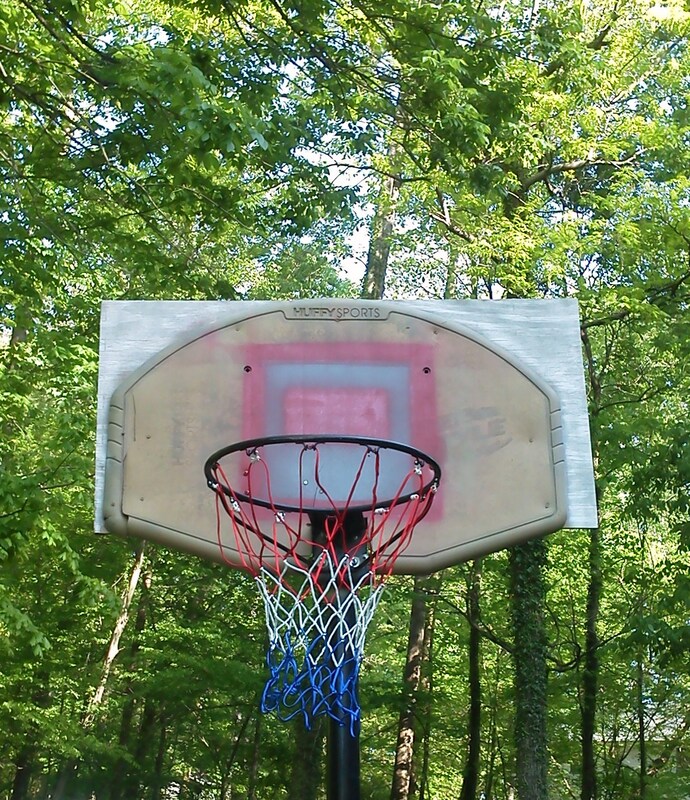 So recently, as part of a home fix – up project; I rescued the backboard from the woods. I fished it from its place of abandonment and thought to repair it. Since the boys are now young men and hopefully more responsible. It seemed only natural to me, to rescue it for them to play with, when they are here. But my wife, Dawn quickly nixed that idea & made me take it to the road to sell it. She did not want to see it anymore and made me promise unhappily, to get rid of it. This did not solve the goal problem though. No one would buy it. So we took the For Sale sign off of it and left it there to be hauled off by the city. But it became plain that they didn’t want it either. No one would pick it up. Couldn’t sell it. Couldn’t give it away. Couldn’t trash it without a truck. What was I to do with the goal? So I returned to my idea to fix it and salvage it. No one would believe that I could repair it. It reminded me of many of us, as we age. That thought emboldened me all the more to bring it back to life. But to me, I could see a new goal. As I started my project, even in the shape it was in; my son Matt would prop it up and play it. This convinced me even further; that it had to be salvaged. So the work ensued with a passion. A passion that was made more difficult by my wife’s firm resistance. We had to haggle about how it would look, what it would do to a garden, where we would put it, how I would stop the balls from winding up in the woods. And most especially about could I really fix it. Anyway, I became quite committed to completing this, through this process of negotiating with my wife. I had a new goal in mind & my vision got clearer each time I had to sell her on it. It didn’t help my case much when I nearly broke my foot, when I dropped the rebuilt, re-fortified backboard. I tried to do karate on it anyway and this really disabled me. At this point, my daughter started commenting about my obvious insanity. The news was conveyed to me in no uncertain terms: the women of the home did not want it just standing there on its own stand any more. They made it quite difficult to proceed. Still, This did not deter me, though. You see. I had a goal in mind. So the plan was born to make a concrete pad and permanently place the redeemed back board in the only spot people in my family could envision it. There was a lot of work to be done that no one but me, believed I could do. 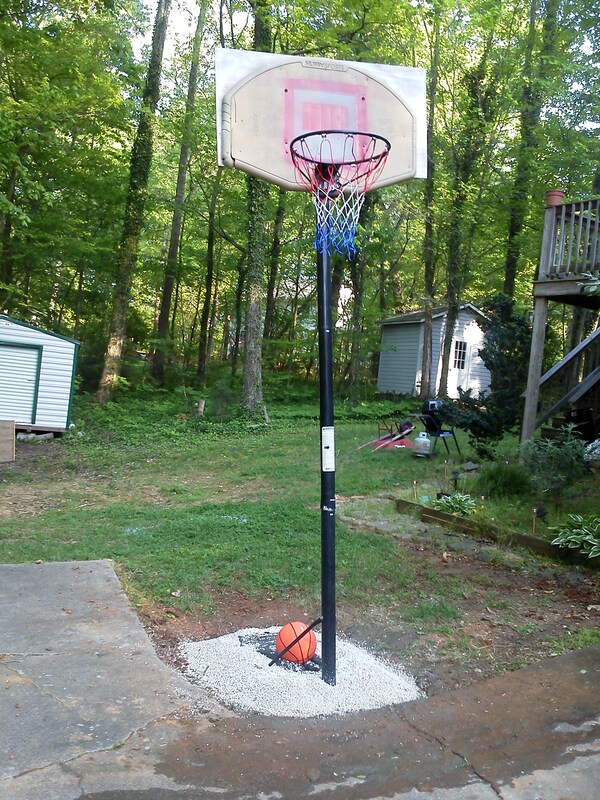 Repair the cracks by building a new backboard base. 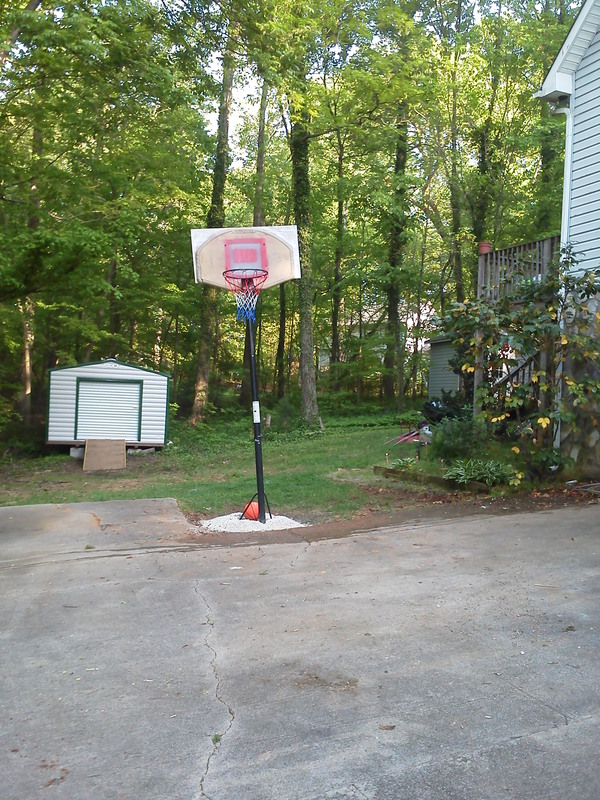 Devise a way to re-secure the rebuilt backboard to the post, since all the anchors were broken & now it would not fit. Find a separate way to re-attach the goal. Since it had long since come loose from the back board. Find a way to make sure that the crooked frame could be stood straight enough, to allow play. Make sure the whole thing was sturdy enough for a ball to be blasted against it & young men grabbing the goal. Yet, even though there were no pat on the backs; I completed this project and got the satisfaction I was looking for to continue the project. I played basketball on the mostly completed goal with my step-son & verified in my own mind that if I finished it, it would work. The Goal loomed even larger in my mind. So, do you think new cracks created by people messing with it caused me to stop the work. One word. NO! Frustrated by not dismayed; I fixed them and began the cosmetic restore of the backboard. Here it is nearing completion. So, what is the point of all this. No one else believed I could salvage and make a workable piece of equipment, out of the bits and pieces I had to work with. No one else believed it could be done. But I did. I had a goal in mind. After finishing the tedious process of rebuilding the backboard, re-securing the back board to the post & re-securing the goal to the post. Then I learned that the frame itself would not hold because of the weakness of the platform that would not hold water or stand on it’s on. By this point, you may be sure that didn’t deter me. My next steps were to prepare the ground and build a concrete and rock pad for it to sit on. The goal was in sight and this unexpected step didn’t even phase me. I built the concrete and rock base and set the revitalized goal in place today. And I was rewarded with the joy of watching my stepson play on it. My vision turned into a reality. My goal is now in my driveway. Perhaps you have similar situations in your life, where you would like to move forward but a) no one else see’s your vision and b) no one else believes you can do it………. That’s ok! If it’s a good goal; You can a) help them see your vision and b) prove to them that you can do it. Just keep your goal in mind and do the work. I have a good friend Steve Gutzler who is an expert at helping people get more out of their life and careers. So, he kept planting seeds that he would like to see me develop my sales topic and background. I got the hint. — When I released an article about my vision about my career goals and desired direction, in the area of sales fulfillment; Steve seized the moment. He helped me see that I needed to take this good vision, this good direction and clarify it, into real goals. He urged me to take that concept piece and break it into two parts; Passion & Purpose and Goals & Initiative. I took his advice and have been clarifying my passion and purpose in the sales fulfillment field for several weeks. Now I am ready to clarify my Goals and initiative. Passion & Promise – What & Why – As I have made clear in the last few sales Beams, I have a Passion to build a business out of my speaking and sales consulting vision. Historically, this has already been a part of my life but in the context of corporate employ. I still intend to benefit corporations, with sales dynamo but now as an independent consultant. My plan is to benefit sales organizations and individuals through developing an independent sales consulting business based around the topic of “Sales Fulfillment”. I will do this under the umbrella name of Carter’s Creative Concepts or Eagle Ventures II. Story behind them both but undecided which I will use. This Passion is well founded by my prolific, professional experience in the field of Sales, Sales Management & Sales Training. This Passion leads naturally [as my friend Steve helped me see]; to the vital and necessary next step. If I am to turn this dream is to turn into reality; it must move beyond the dream stage. So take the next step I must, because I do intend to make this vision real. You see. I have a goal in mind. 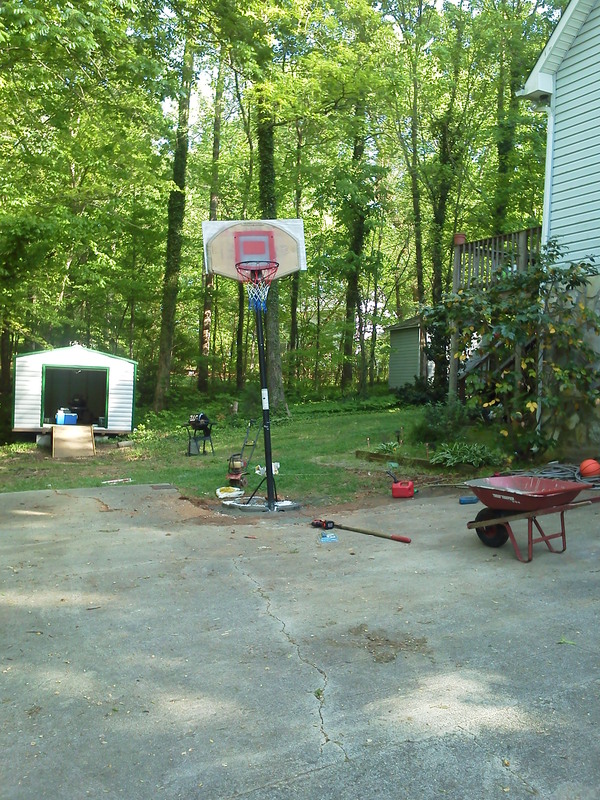 Goals & Initiative – Aim & How – When I decided to rebuild the basketball backboard; I had to think through the steps. Then, I had to work through them. So this is my initial think through of the steps. These are the steps, I must take to make my Passion and Sales Fulfillment Speaking target happen. I know I will have to work them through. And as I do, they will grow and change. But nothing happens till you start. So here is a start-up plan. Build the plan and structure of my business in this calendar year, while I still maintain and grow my local business. Define my “brand” and online targeting strategy this year around a general 3:1 #Sales vs. Inspiration emphasis. Complete & publish if possible my book H.igh O.ctane P.ositive E.nergy. Re-Design my Speaker’s Web-Page & other online tools into more Professional #sales image. With my local partners, form an agreement about building my new endeavor; while I maintain Bennett Buildings of Thomasville as both a Safety Net & launch pad. End of year, begin to line up initial Speaking Engagements. Ongoing development of #Sales Tips & corresponding reputation for them. 5 Year Plan to phase into this Speaking / Consulting Venue, Full Time. So what is the message for you, here? Great ideas can still be born, when all you have is broken pieces to begin with. Sometimes the only person who can see your vision at first is you; and this is OK. It may hurt some, to make your vision a reality. This is just part of the chance you take. You can “sell” others on your vision; a) if it is a good one. b) if you make positive progress & c) if you will not give up. There will be bumps along the way. You may even have to scratch one plan and try another but your vision will succeed if you believe & keep taking the next right steps. So, as I wrap up this BEAM and work diligently to make my target of a Speaking and Consulting business in the area of “Sales Fulfillment” a reality. You may be sure that I will get there. You see: I have a goal, in mind and I will not stop until it is done. I hope you have your own compelling vision. If not that you will find one. And discover the steps you must take to bring your vision to pass. Have A Goal In Mind. 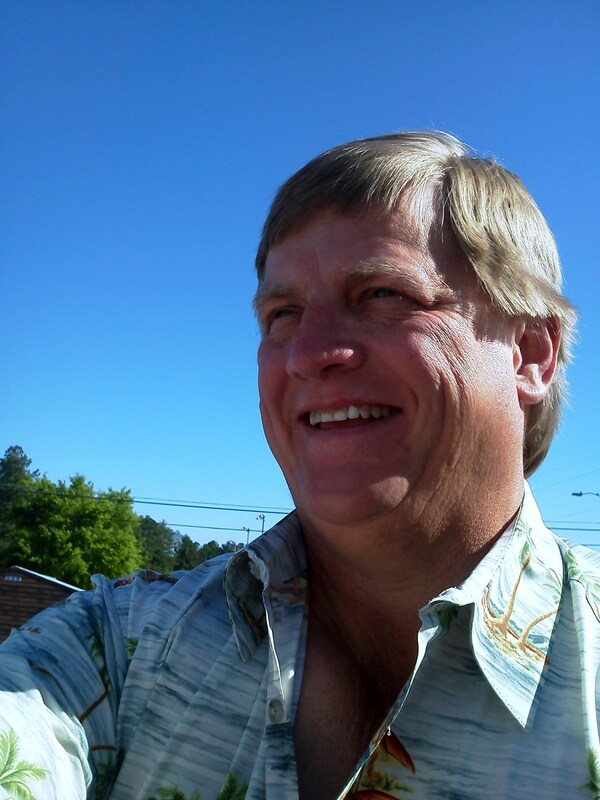 This entry was posted in Face Page, Sales & Sales Training, Work Related and tagged basketball goal, business, focus, Goals, My friend, personal growth, Positive Attitude, renewal, Steve Gutzler, wife dawn, Workplace. Bookmark the permalink. I have to say, I am amazed by your stick-to-it-iveness! It can be hard to carry on without any support. But if something matters enough to you, that is exactly what you must do! Good for you! I was a little saddened at the thought of the basket “goal” being tossed into the woods for 7 long years. But at least it rose to glory again. It wasn’t the only thing that was in the woods for 7 years. LOL & thank you Shelley! Great post and look forward to seeing more. Often it is by doing what no one else believes we can do that we make the greatest difference and progress. BTW, if you want any tips on how to get your blog seen by more peeps, let me know. Thanks for your encouragement, Brad. I appreciate your thoughtfulness. Love this post tTim – for those looking for encouragement to do what they feel is right; it’s a perfect read. Right now as I look for encouragement to accomplish several of my own goals, it’s great to read. Heather, thanks for the thoughtful comments. I hope you win as you “keep your goals in mind.” LOL but really. When I wanted to start my own landscape design business 9yrs ago,my friends thought I was crazy! “Why would you quit your 9 to 5 job in a cushy office, great pay, and Benefits, to work in this Florida heat”? I did my homework. I checked out all the local nurseries and asked a lot of questions. I took many photographs of the native plants and made a portfolio for customers so they had a visual. I learned about irrigation ,sod what types of sod , what kind of plants for full sun and shade, irrigation, and how to write my very first contract (yikes). The hardest part was what to charge, HMMMMM… I had my license and my business name,Deana’s Dream Garden Design Inc.
My first job was a dilly … This was in Brooksville and my customers name was Mr. Bill Hope. Mr. Hope didn’t know what he wanted so I gave him some ideas. This included stepping stones , Rock, shrubs , edging ,landscape lights, mulch,flowers,pots with flowers,soil and a fountain ! Did I mention I had to rip out all the old stuff first? Well I went to Hooters for lunch and started calculating ….. 2hrs later lol I had the bid…. Then I had a beer and thought “What the hell am I doing”! I called Mr. Hope and he bulked a little at the price. I told him that it was fine and to get back with me…. Mr Hope called me the next day and asked If I could start work on Monday.. I was ecstatic! I called locates immediately , to start marking for power, water, cable ect . That was an experience in it’s self !!! The first day I ripped everything out…Thank goodness he had a trash service that took yard waste Whew….. The second day I Started digging and uh oh! Every time I put my shovel in the ground it hit big ole roots which turned into BIG OLE STUMPS !!! I was in trouble…… Sigh….. So I rented a Chainsaw WHOOAH! LOL.. Oh and did I mention the soil was CLAY! Hard as rock…. I got to know the neighbors REALLY well, as a matter of fact they sat in their lawn chairs and had coffee every morning. I could see some peeking out their windows ,or they would do a drive by….. Lol I was definitely causing a buzz in this small community…. Everyday morning Mr. Hope would come out and greet me and ask how I was doing. He never once complained…. One morning I ran into a green plastic pipe… Uh Oh…. Septic pipe? Well the locaters marked wrong ! I knocked on Mr. Hopes door, brought him out and showed him and he says, ” So that’s why I’ve been having problems” …. Turns out I didn’t do it, because when I dug around it , u could see old clay dirt inside the pipe Whew… So Mr Hope thanked me LOL..
Time for the stepping stones and plants . I picked them up loaded them in my car…. On the way to work, I felt something slap the back of my neck! Before I could feel what it was IT was slapped on the inside of my windshield! I made 8 trips to the nursery that day. Total trips 22…. I was on my way out and Mr. Hope was backing in the driveway UH OH!!! The neighbors would come over and compliment my work with food lol. Every morning the coffee club was chatting away in Mr. Hopes driveway. Henry,Clyde and Ernie… They were good elderly gentleman, Earnie was the oldest 90 yrs old..
Well the Job was finished and it was beautiful . It took me 2 weeks to complete this and I was proud. What I found out later was the neighbors had a bet including the coffee club….. The bet was ? “Do Ya think she’s coming back today”? I learned so much from that first job …. The first thing I changed in the contract was , any unforeseen large objects would be extra LOL.. I ended up being the most respected landscape Design business in Hernando County .. I never advertised … It was all word of mouth and business cards.. I bought a truck ,equipment and HELP lol ….